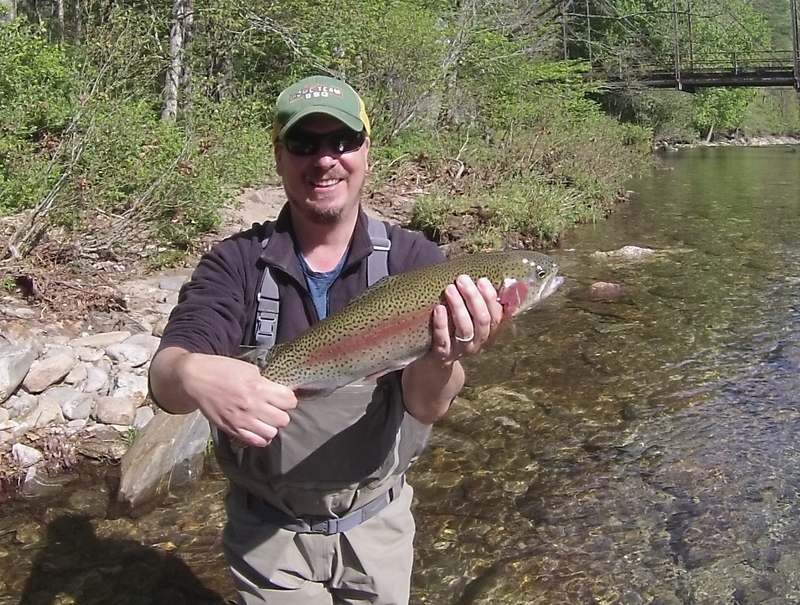 Okay, it is not that unusual to catch a Rainbow, Brown and Brookie this time of year. We call this the “Appalachian Slam.” You may have your own local version depending on where you’re from. 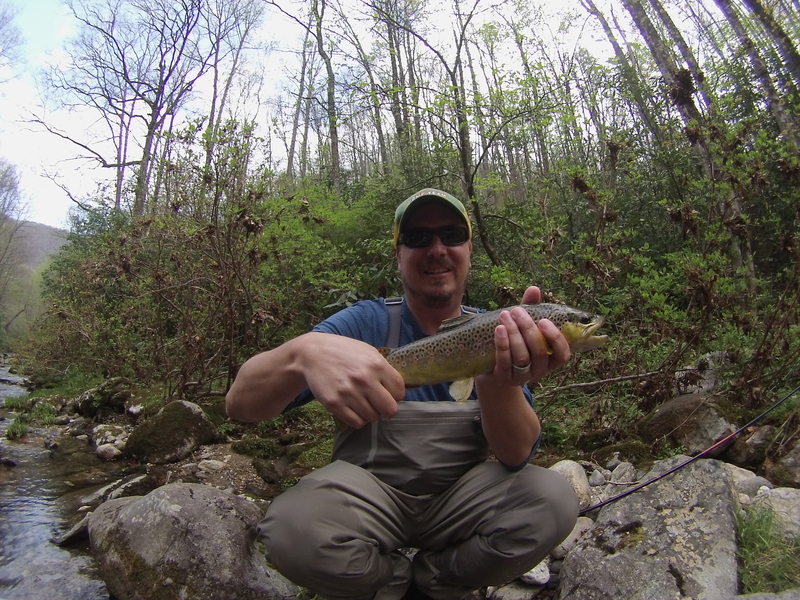 But it’s not often done with as much gusto as this visiting tenkara angler did today. 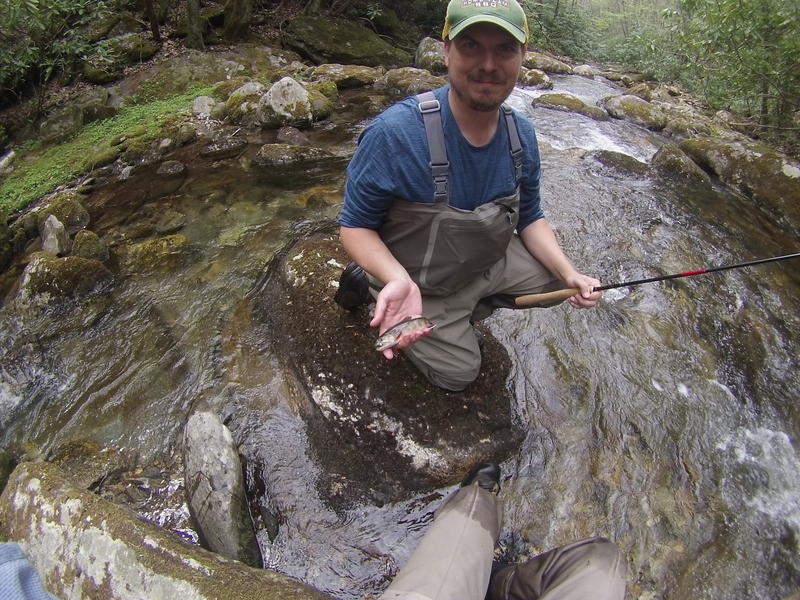 We fished three different rivers to land the native Brookie, wild Brown and giant Rainbow you see above. It gives you some idea of how versatile (and effective) tenkara is. Congratulations ace!